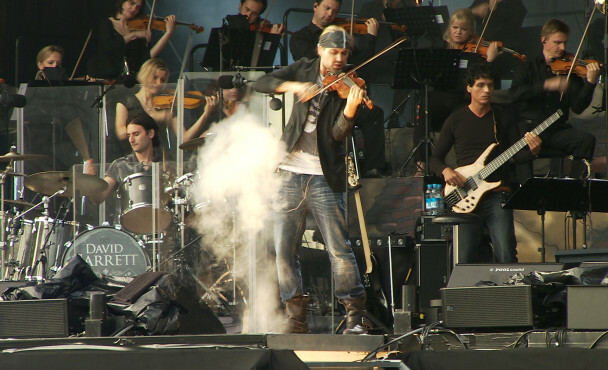 At the heart of the film is the back-story to David Garrett’s success – the hard work involved in the journey from being a child prodigy to a global selling artist who bridges the worlds of pop, rock and classical music. The film follows David as he embarks on his first classical recording at Abbey Road (with Beethoven’s Violin Concerto), and sees him perform classical recitals in Amsterdam at the Concertgebouw and also at the prestigious Verbier festival. The film also reflects the more mainstream side of David’s career which has seen him sell well over 2 million albums, from the current ‘Rock Symphonies’ album/tour and performances in Los Angeles and Miami, through to a performance for the Swedish Crown Princess and Royal Family – no day is ever the same for David! The film also includes incredible interviews with two classical legends – Itzhak Perlman and Zubin Mehta.